HYPNOSIS IS PROVEN TO BE ONE OF THE BEST WAYS OF KICKING YOUR SMOKING HABIT FOR GOOD. If you are one of those people who consider yourself as a heavy or even a social smoker? It can be a daunting task for you to stop smoking. Visiting Tranceform Hypnosis Hypnotherapy Chester is an excellent choice for you to improve your own health. Tranceform Hypnosis will help you unblock your mind of the difficulties involved in attempting to quit smoking. People who have made the decision to stop smoking may experience natural fears. For example, the fear of gaining weight and that they may not have the social tools to do so. All of these hesitations and fears can be all relieved and you can quit cigarette smoking addiction through the help of hypnotherapy. In fact, hypnosis quit smoking therapy was found to be three times as effective as nicotine replacement therapy. Those who have tried it confess that it is as good as or even better than electronic cigarettes. Be assured that you can safely stop smoking without experiencing negative effects. Get into the process of getting rid of cigarette addiction. We understand that it takes a whole lot more than sheer will power to turn into a non-smoker again. You need to make both conscious and subconscious changes in order to stop smoking. 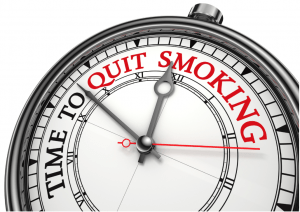 So our quit smoking hypnosis therapy will help put you on the fast track to becoming a non-smoker. A big part of quitting smoking for the everyday smoker is the need to remember to let go of their smoking routine and look at cigarettes in a different way. One of the fastest and most popular treatments that could greatly help people to quit smoking is by attending a hypnosis and hypnotherapy session at our clinic in Chester. Hypnotherapy works by effectively putting yourself in a deep and relaxed state of mind. It is a powerful tool that helps people realise their goals. For the smoker, they are being motivated to quit smoking and are allowed to picture themselves with the good things of their life without the presence of cigarettes. It’s an effective way for you to quit smoking, allowing you to become a non-smoker once again. Hypnotherapy will also remove nicotine addiction and cigarette cravings from you, even e-cigarettes. Thereby allowing the smoker to change their habits while enjoying their life. Tranceform Hypnosis explains how to quit smoking through hypnotic therapy. For those smokers who wanted to get rid of smoking from their daily lives, should not miss seeking the assistance of TRANCEFORM HYPNOSIS in Chester and Ellesmere Port.